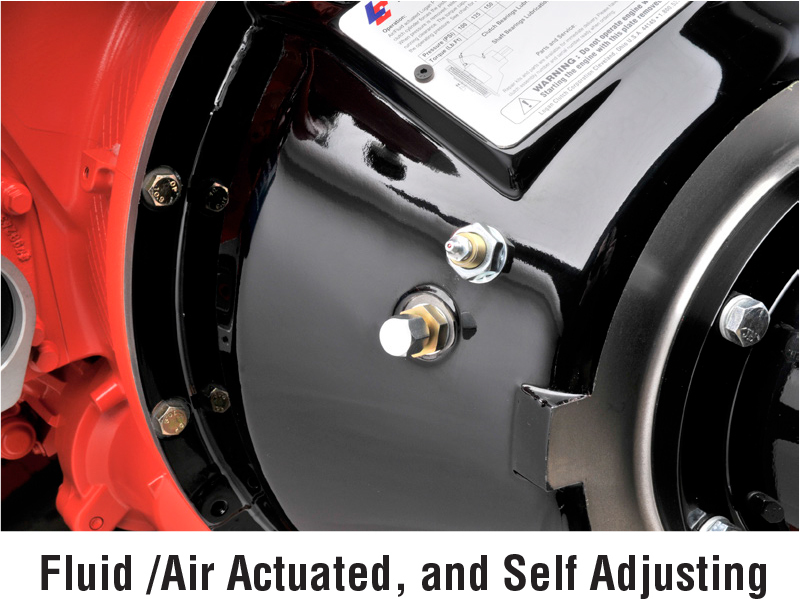 Trailer or skid mounted blasting systems can range in size from 50 to 500 HP, with required speeds up to 3,000 RPM on smaller units. With SAE size bells from No. 7 up to No. 0, and torque ranges from 159 lb. ft. (216 Nm) to over 7,838 lb. ft. (10,628 Nm) Logan Bell Housing PTOs are properly sized to handle even the toughest demands in system torque and HP. 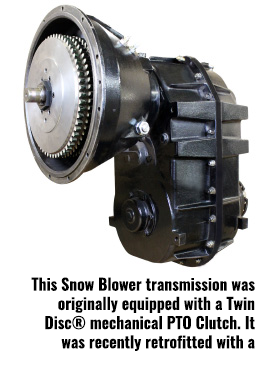 Standard Logan Bell Housing PTOs are available in No. 00 to No.7 size SAE Bells. This application required a Logan LC-314 (No. 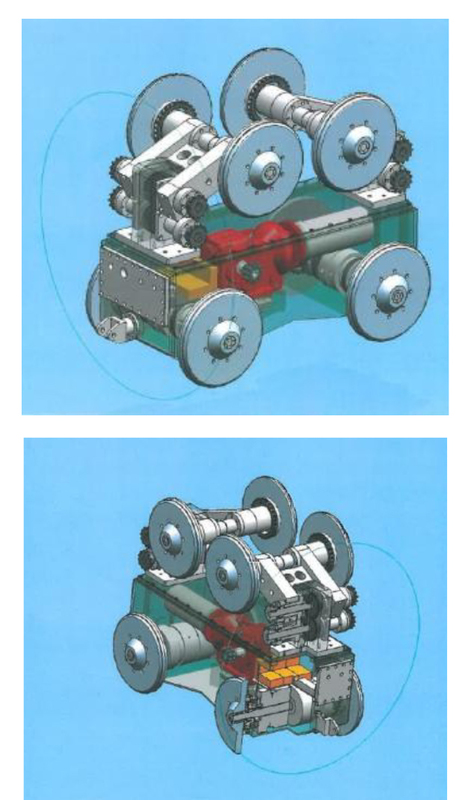 01 Size Bell), Clutch for main propulsion and a Logan SAE Direct Drive PTO (1000 series) to drive an auxiliary pump with an SAE C spline off the front of the engine. 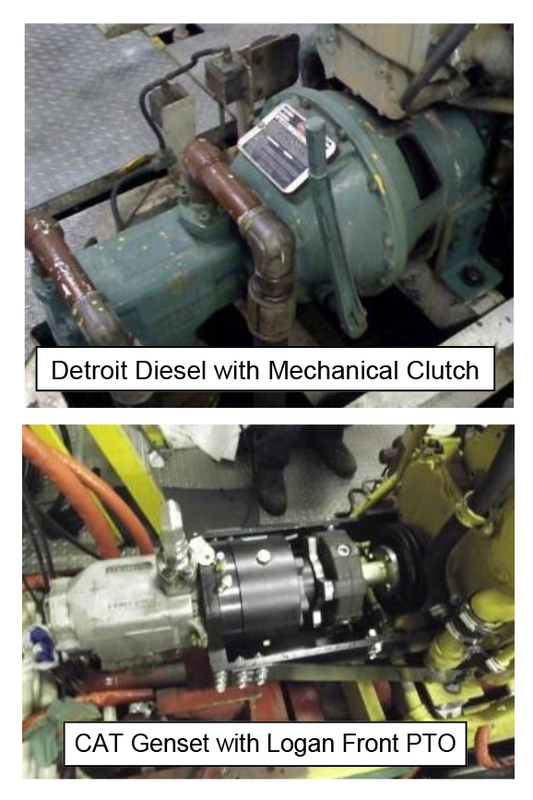 In this example, the customer has developed a skid mounted drive system, with a Heavy-duty side load requirement. 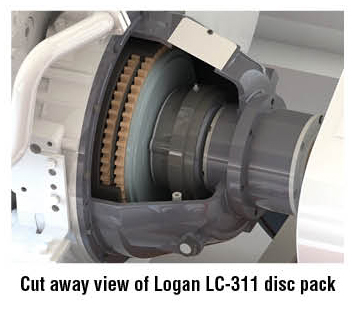 Logan Engineers specified a Generation II LC-314 due to its spread bearing design. The Logan Gen. II handles 50% more side load than a standard Gen. I 314 Design. 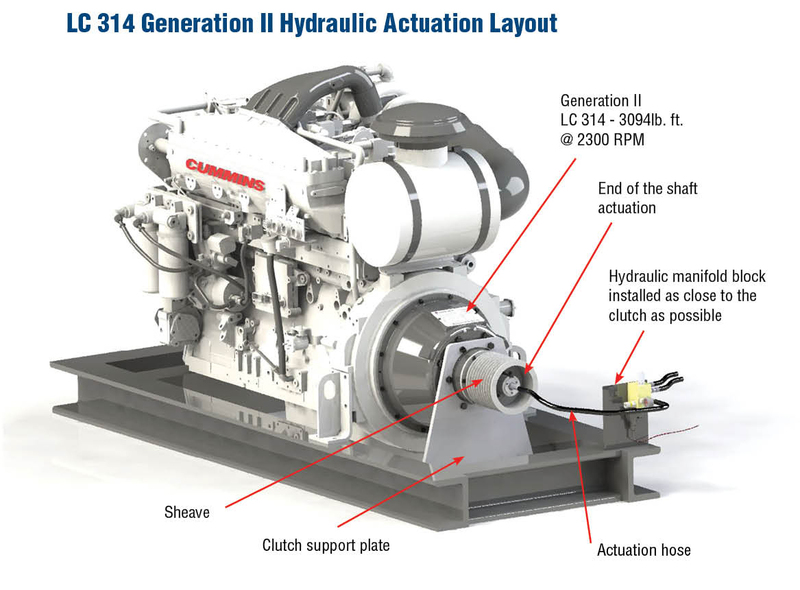 Also, the Gen II does not require a pilot bearing, which is prone to failure in heavy duty side-load applications. The Logan Gen. II LC-314 transmits a maximum 4420 lb. ft. of torque (5993 Nm) @ 435 psi. (30 bar), providing ample safety factor in this application which only requires 3094 lb. ft. (4195 Nm).